AFP: Prime Minister Viktor Orban vowed Tuesday that Hungary would resist any attempt to “blackmail” it into softening its anti-migrant stance, on the eve of an EU parliament vote to censure his populist government. Orban denounced as insulting to Hungary’s honour a report presented to the Strasbourg assembly that accuses his government of posing a “systemic threat” to the democratic values on which the European Union was founded. Underlining this division, the centre-right EPP parliamentary group — which includes Orban’s own Fidesz party — has given its members a free vote on whether to back the possible investigation of his government for non-compliance with EU law. “Whatever your decision will be, Hungary will not accede to this blackmail,” an angry Orban told lawmakers, whom he alleged had already made up their minds to activate Article 7 of the EU treaty and seek measures to restrict his government’s voting rights. “Hungary will protect its borders, stop illegal migration and defend its rights,” Orban said, accusing EU elites of wanting to punish Budapest for its anti-migrant stance. But Judith Sargentini, who is spearheading the vote on possible action against Hungary, told fellow MEPs the time had come for them to make an “important choice”. 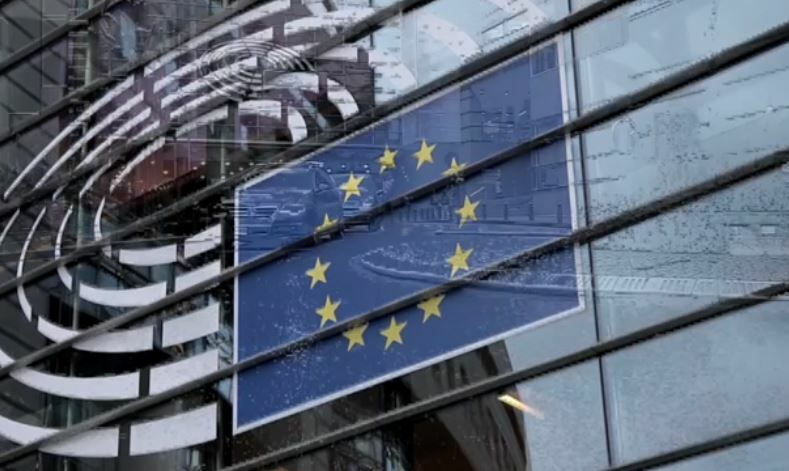 “Will you let it happen that a government… violates the values on which this union was built without consequences?” the Green MEP from the Netherlands asked colleagues. The EPP’s leader, Manfred Weber, said he would vote in favour of the motion targeting Hungary, but a party spokesman said the group was divided about 50-50. Last year the European Commission, the EU’s executive arm, launched similar steps against Poland over alleged threats to the independence of its courts. Poland’s ally Hungary has pledged to veto any move to impose penalties on Warsaw, which would effectively block any such measure. It is also not clear whether Sargentini’s push would win the necessary two-thirds support of the assembly. While Orban’s actions have provoked opposition, they have been applauded by populists in the EU, with prominent far-right figures floating the idea of forging a pan-European alliance ahead of next year’s bloc elections. The Commission, headed by Jean-Claude Juncker, an EPP member, has repeatedly clashed with Orban’s government, especially since Budapest refused to admit asylum seekers under an EU scheme launched at the height of the migration crisis in 2015. Orban said his government had sent all MEPs an 108-plus page rebuttal of Sargentini’s “false” charges. “The report in front of you insults Hungary and insults the honour of the Hungarian nation,” he said, adding his country was a proud Christian nation that had stood up to the former Soviet Union.